According to the release notes accompanying Monday's OS X 10.9 Mavericks Developer Preview, the OS is compatible with all Macs able to run the current version of Apple's desktop operating system, OS X 10.8 Mountain Lion. When Apple announced OS X 10.9 at Monday's WWDC keynote, the company failed to get into the specifics of the software, such as which Macs would be able to run the next-generation OS. If the Developer Preview is any indication, most Mac owners able to install Mountain Lion will also have machines capable of running Mavericks. In addition, the system requirements call for 64-bit, Intel-based Macs currently running Mac OS X 10.6.7 Snow Leopard or higher, with 8GB of free disk space for installation. The computers and requirements listed above are nearly identical to OS X 10.8 Mountain Lion's requirements as stated by Apple in a support document. In fact, Mountain Lion stipulates that the base operating system on the install machine must be OS X 10.6.8 or later, a higher standard than Mavericks. Usually with a new operating system version, some Macs are left behind as their hardware simply can't keep up with the demands of advanced software. For example, all Macs powered by at least Intel Core 2 Duo processors were able to run OS X 10.7 Lion, but when Apple launched OS X 10.8 Mountain Lion, some iMac, MacBook, MacBook Pro and Mac Pro configurations with Core 2 Duo CPUs were no longer supported. It seems that with OS X 10.9 Mavericks, however, all Mountain Lion-capable computers will be able to take advantage of the upgrade cycle. 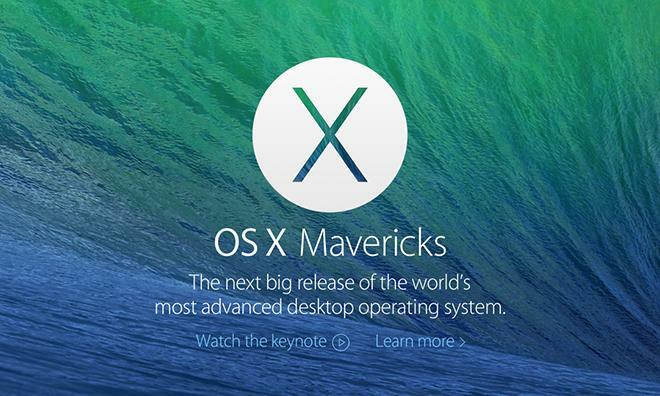 While promising, the nature of beta software precludes any guarantee that the final consumer version of Mavericks will carry the same system requirements as its Developer Preview, including what computers will be able to run the OS.